Whiskey Wednesdays continue at Izakaya, with a flight from Nikka on offer January 31. Photo courtesy of Izakaya. The deep freeze is over, Houston, and if this week’s warmer temperatures aren’t enough to make food lovers venture out from the comforts of their own homes, the variety of events on tap certainly should. These include learning more about food and wine, and how they work together. Multiple, multi-course dinners feature the chance to try all kinds of new fare. The Bayou City also welcomes back a favorite baker and says hello to a new breakfast spot. Anyone who’s looking for beer will find that, too, with the opening of a new place in Midtown. Holman Draft Hall, 820 Holman: CultureMap Houston reports that the latest concept from the Kirby Group, the operation behind Heights Beer Garden, opened January 19. The new beer bar features more than 100 brews on tap. Selections include local and national craft beers. Look for a rotating menu of frozen drinks courtesy of sister outfit Wooster’s Garden. Fluff Bake Bar, 314 Gray: Rebecca Masson’s Midtown bakery temporarily closed for repairs back in October following damage from a pipe leak. The sweet shop resumed operations on January 20. While the dining area might look different, the menu retains Masson’s signature treats, including Couch Potato Cookies (made with potato chips, pretzels, cornflakes, marshmallows and chocolate chips) and Fluffernutters (peanut butter oatmeal cookies sandwiched with peanut butter cream and marshmallow fluff). Snooze an A.M. Eatery, 718 West 18th: The popular breakfast and brunch spot expanded its Houston operations to the Heights and is officially opening January 24. If the popularity of the other locations are any indication, expect long lines for omelettes, Breakfast Pot Pie, Benedict selections, breakfast tacos and pancake flights. 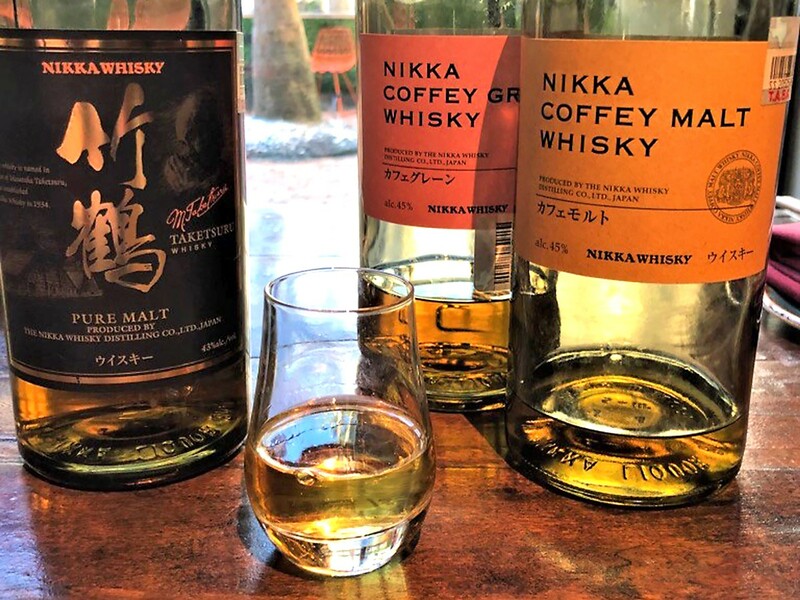 Izakaya, 318 Gray: Midtown’s Japanese pub hosts “Whiskey Wednesday” January 31 with a formal tasting class featuring several pours from Nikka, considered one of Japan’s premiere whiskey brands. Each guest will taste a flight of three Nikka offerings: the Coffey Grain, a whisky produced mainly from corn using stills imported from Scotland; Nikka Coffey Malt, a fruity and spicy whisky previously only released as part of single casks; and Taketsuru Pure Malt, a blended malt named in honor of Masataka Taketsuru, Nikka’s founder who mastered whisky-making in Scotland. The class will conclude with a surprise pour, promised to be among the most rare selections exported to the United States. Executive chef Jean Philippe Gaston is pairing a variety of dishes with the whiskies. The cost is $85 per person plus tax and gratuity. Participants must arrive by 7 p.m. and reservations are required. To reserve a spot, call (713) 527-8988. 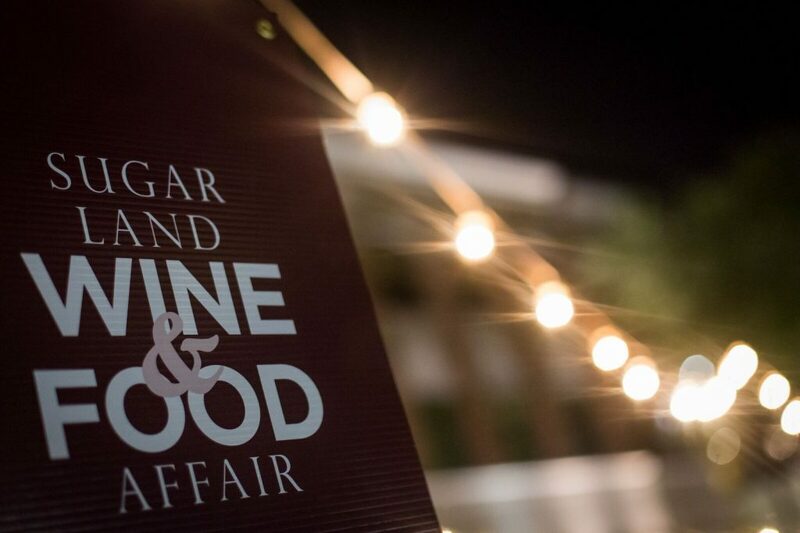 Tickets are on sale now for the Sugar Land Wine and Food Affair. Photo courtesy of IWSC Group/Rafterman. One of the area’s most popular foodie events, the Sugar Land Wine & Food Affair, turns 15 this year. Enjoy four days of tastings, classes and events from April 4 through 8 in Sugar Land Town Square and nearby venues. Tickets went on sale Monday, January 22. Get yours by clicking here. Bistro Provence, 13616 Memorial: The Energy Corridor French restaurant hosts a dinner featuring the wines of Burgundy. The four-course meal includes warm homemade paté with a Dijon mustard sauce alongside the 2011 Nuits St Georges “Les Chaliots” Domaine Michel Gros and Boeuf Bourguignon (France’s traditional beef stew) paired with the 2015 Gevrey Chambertin Domaine René Clerc. Heath Richardson of Serendipity Wines will discuss the selections. The dinner begins at 7 p.m. and costs $105 per person. For reservations, call (713) 827-8008 or email the restaurant. Eight Row Flint, 1039 Yale: The Heights ice house continues its January outdoor cooking series with phở gà (Vietnamese chicken noodle soup). Chef de cuisine Marcelo Garcia will serve the comfort food fare made with fresh, local vegetables from 5 p.m. until it’s gone. Caracol, 2200 Post Oak: The Uptown Park restaurant is hosting a five-course wine dinner featuring selections to pair with Torres wines, one of Spain’s most celebrated wineries founded in 1870. The evening features a reception where guests may sample Torres’ rose, a Verdelho sangria and bubbles and brandy cocktails. Dinner selections include smoked crab meat in a black tortilla paired with 2016 Pazo das Bruxas Albariño; bacon-wrapped quail served with 2013 Gran Coronas Cabernet Sauvignon; and fried dough stuffed with dulce de leche paired with Torres orange liqueur-spiked hot chocolate. Marta Delfa, Torres grand ambassador, will talk about each wine and the winery. The event begins at 7 p.m. and tickets are $110 per person, not including tax and gratuity. For reservations, call (713) 662-9996. Sud Italia, 2347 University: Spend “A Night in Campania” at this cozy Rice Village spot. Executive chef Maurizio Ferrarese is pairing dishes with a selection of wines from this area of southern Italy (often called the shin of Italy’s boot). On the menu are limoncello-cured ahi tuna served with 2016 Janare Falanghina; pasta and short rib ragout paired with 2014 Cantina Solopaca “Carrese” Riserva; and a limoncello-infused pie served with sparkling Qvid Spumante Falanghina Brut. The cost is $59 per person and reservations may be made by calling (713) 664-7571. Italian Cultural and Community Center, 1101 Milford: Kids ages 3 to 10 can explore Italian culture with La Piccola Cucina (The Little Kitchen), a hands-on class. This session highlights Carnavale, Italy’s traditional pre-Lent feast days. They’ll make crostata alla marmellata, a tart that can be filled with different jams, and is usually eaten for breakfast or a snack. Instruction on the country’s culture and some basic Italian words are included in the lesson. The session runs from 11:30 a.m. to 1 p.m. The cost is $30 for ICCC members and $45 for nonmembers. Register online or by calling (713) 524-4222 extension 7.